The second leg of the Round of 16 tie between Manchester United and Paris-Saint Germain at the UEFA Champions League took place yesterday. And what thriller it was! Coming into the game, PSG were considered the clear cut favorites to advance into the next round of Champions League. They had already defeated the Red Devils at Old Trafford by 2 goals, and just needed to concede less than three goals. If we compare the teams on paper they look well matched, but several of United's key players such as Anthony Martial, Nemanja Matic and Jesse Lingard were out due to injuries. PSG also had their star players Neymar and Cavani injured, but compared to United's nine injuries PSG were in a much better situation. Moreover, having the home advantage made it almost certain that the French giants would be the ones to advance. 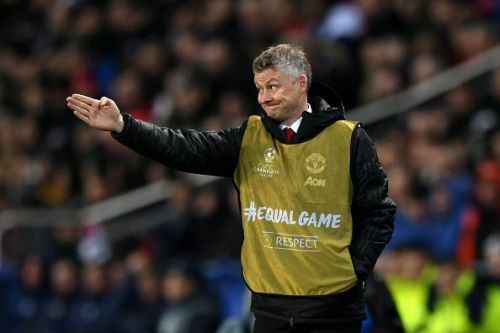 But Ole Gunnar Solskjaer's men had different ideas and surprised the whole world with yet another epic comeback, winning the game in the dying minutes. Manchester United are known as 'The Comeback Kings', and today they proved just that. 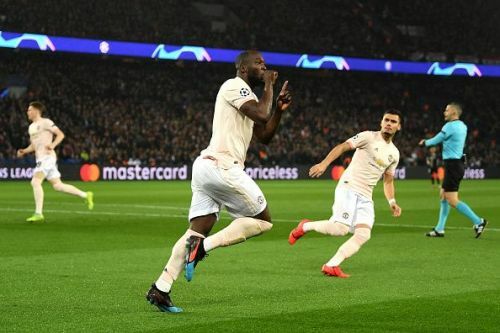 To start things off, Romelu Lukaku took advantage of a defensive error and gave United the much-needed lead in the first two minutes of the game, making the score 1-0 (2-1 Agg). But in the 12th minute of this stunning fixture Juan Bernat equalized the score with an easy goal from inside the box. As the match proceeded things were looking bad for the visitors as PSG held most of the possession for the next 10-15 minutes, making it difficult for United to even get a shot at goal. Guess who rescued United from this dire situation? Yes, it was once again the Belgian striker, who scored his second goal of the game to put back the lead of one. This time it was Gigi Buffon who fumbled the ball, which made it an easy goal for the roaming No. 9 inside the penalty area. But after this goal PSG decided to keep hold of the possession and stop any further attacks by the highly motivated Man United team. And they were successful in doing that until the 94th minute of the game, when the visitors were awarded a controversial penalty decision. 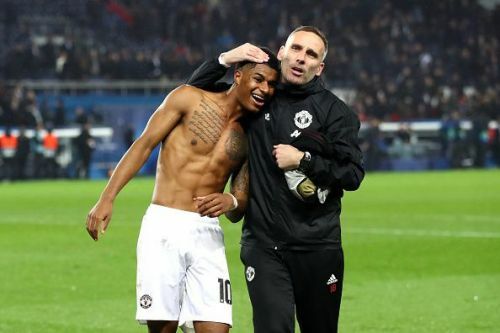 Marcus Rashford didn't make any mistake from the penalty spot as his goal completed one of the best comebacks I have seen in the history of UEFA Champions League. I have been watching Manchester United games since the age of 10. And after Sir Alex Ferguson's retirement, this is the most success the club has seen, all thanks to Ole Gunnar Solskajaer and the current Manchester United squad. If the Red Devils can keep up this form, who knows, they might end up winning the Champions League!